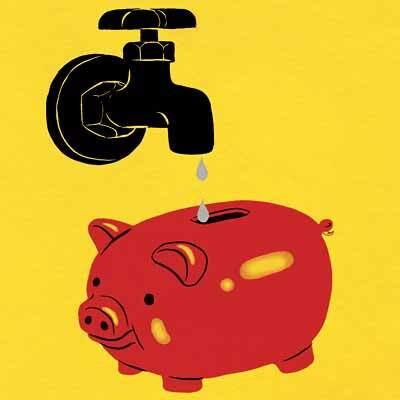 Saving water, electricity, and other means of energy consumption can be tricky, especially during the extreme seasons, such as winter and summer. The urge to overuse can oftentimes be overpowering, especially if you’ve got children in the house. We’ve come up with four different helpful tips and advice for you to save money and minimize your carbon footprint. The University of Nebraska is currently developing a method of creating “green grass” that would require in between 40 and 75 percent less water than traditional grass. This means you’ll save money, have a nice looking yard, and perhaps won’t damage garden tools by using them as much as you’d normally need to. This is crucial to saving money, as the kitchen, bathroom, and shower taps are where we waste the most water. Whether you’re doing the dishes, taking your daily shower, or brushing teeth in the evening, a low-flow faucet can help you keep your costs down. And because teaching children to conserve water is tricky business, you won’t have to worry as much about going over your budget. If you use a sprinkler to water your grass, garden, or trees, you know that it’s very easy to use more water than you’d planned to. Sometimes we turn our sprinklers on and either forget about them, or get too distracted doing other things. They continue watering away and can damage your garden. Consider investing in a cheap automatic sprinkler system. You can program the watering intervals and shut-off times, for peace of mind and water conservation. If you own an older home, chances are you’ve got a giant tank sitting in your basement or closet filled with water to be used in hot showers. Since heating water takes up on average 30% of a home’s energy budget, we recommend purchasing a tankless water system to replace your ancient water tank. They work by heating up the water as it passes through the pipes, rather than keeping a ton of water sitting around waiting to spring a leak or malfunction.